With their unconstructed look and curved bottom fold, Relaxed Roman Shades are the perfect soft complement for a broad array of interior decorating styles. Although they are a primarily decorative style, Relaxed Romans have the ability to look right at home anywhere from traditional designs to modern transitional settings. 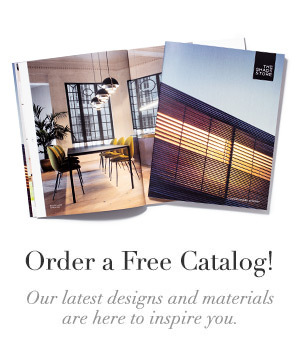 See what a swap in material and pattern can do, and how these versatile shades might be right for your next design. Relaxed Roman Shades with an inside mount look lovely with ornate woodwork or decorative molding, as shown in both photos above. 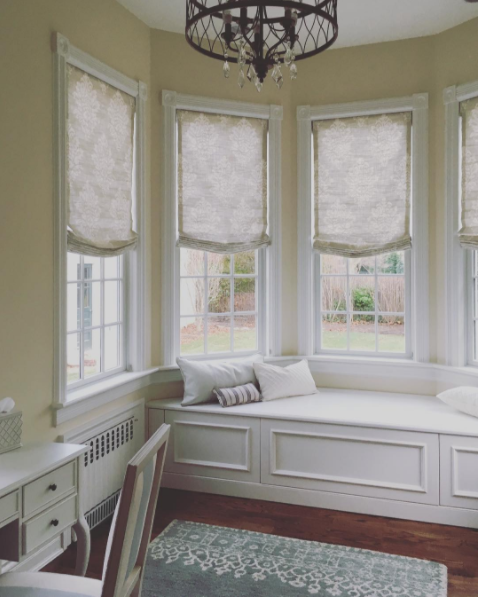 The curve of the shade contrasts with the straight lines of the trim and window bench, providing the texture of drapery without the space concerns for rods and stacks. Classic colors like blue, shades of white and off white, taupe, and gray give a rich look of understated elegance. 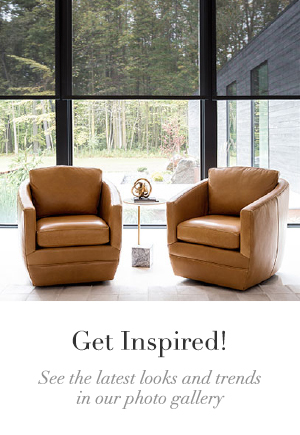 Paired with modern furniture, the fold of Relaxed Romans can echo the curved lines of a sofa or chair. 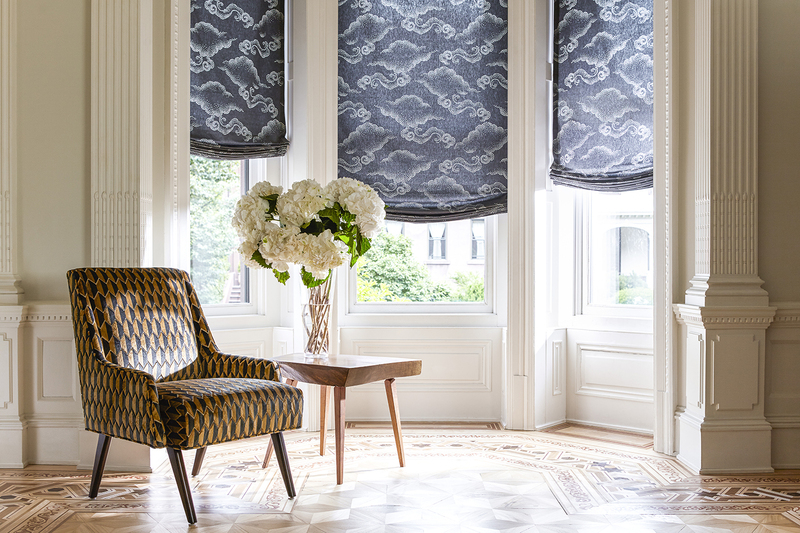 In a heavy material or made with a lining, shades can cover half of windows to provide privacy and control the amount of light entering the room. 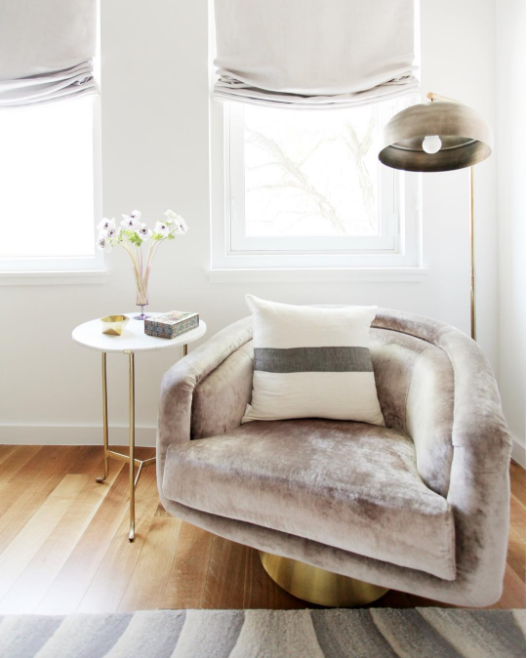 Soft and textured fabrics like Hemp or Raw Silk can lend a comfortable feel to the space, making the window treatments feel anything but stuffy. For a chic light filtering shade, try Relaxed Romans in a sheer like Linen, Basket Sheer, or Sheer Brilliance. Pure white shades paired with white trim is always a sharp look, and works well in small spaces or small windows by maximizing the natural light available. 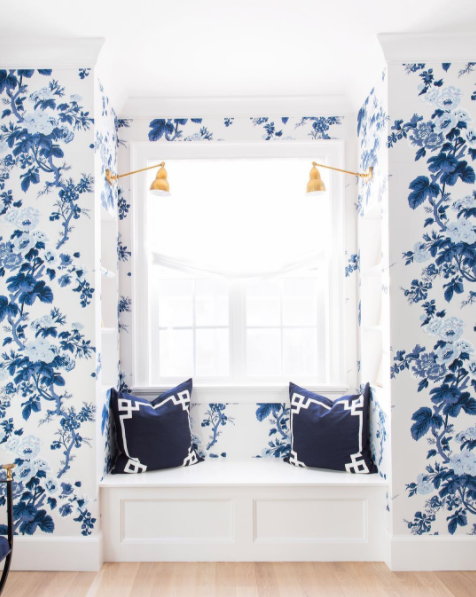 In Caitlin Wilson’s design, the relaxed style blends beautifully with florals, adding interest without overwhelming the patterned wallpaper. No matter the style of your décor, the graceful Relaxed Roman Shade can adapt to fit your vision. With more than 95 materials in 550+ colors, we can craft your Romans to make just the right statement in your home. 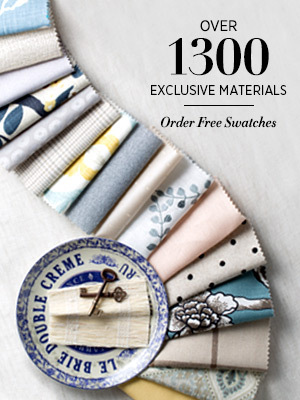 Order free swatches online or stop into a showroom to browse our exclusive collection.